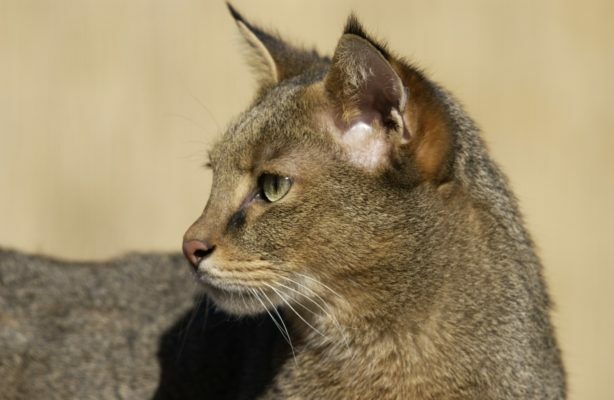 Home / What is a Savannah Cat? A Savannah Cat is a breed that is based on the African serval. 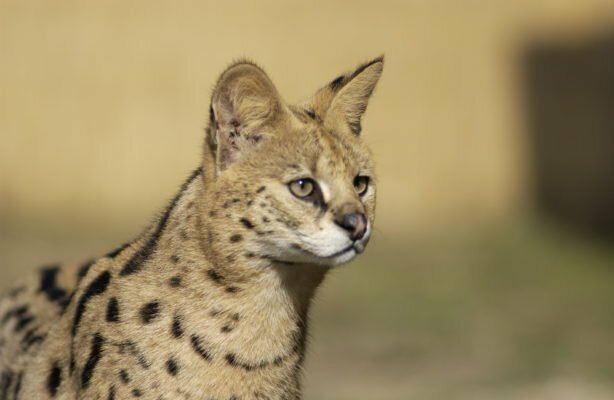 At first, breeders would breed the serval to other breeds of cat like the Ocicat, Siamese, even the Bengal cat, Chausie cat which is a hybrid of the jungle cat and other non-specific breeds of cats. 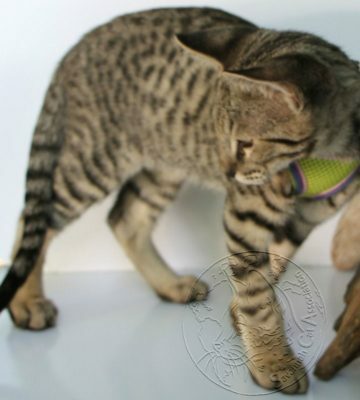 The International Cat Association made it clear to breeders they did not want the Bengal cat or Chausie cat used in the Savannah Cat breed because those two breeds were also connected to small non-domestic cats and didn’t want to mix them in. The Bengal has the Asian Leopard Cat in its background and the Chausie goes back to the Jungle Cat. As time went on, a few breeders began to get to later generations where the male Savannah cats were fertile. A few were fertile at the F5 generation and more at the F6 generation. This actually allowed breeders to stop using so many different breeds and to begin to focus on Savannah to Savannah breeding. Once the Savannah cat was at that stage of the game, breeders could begin to refine the look. The serval cat is found in Africa in the grassy plains across the middle portion of the country and near rivers and streams for a needed water source. Servals are referred to as Clowns of the Veldt. The Veldt is simply the wide open grassy spaces in Africa. Servals, unlike the Asian Leopard Cat, have a less fearful existence. 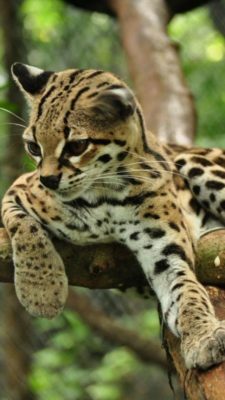 That makes a difference in their personalities and that carries through to the first-generation (F1) Savannah Cat and even later generations. Starting at the first generation, Savannah Cats are pleasant and very aware of their surroundings. Their marked intelligence tends to get them into many mischievous situations in the home. This prompts Savannah owners to congregate to tell stories about how smart their cats are. Owners have lovingly coined the phrase “Savandalism” for their antics. Savannah cat owners may sometimes ‘baby-proof’ certain cabinets or faucets to keep the contents safe from cat paws. There are many sites that state information that is misleading and at times just plain wrong about Savannahs. Savannah Cats jump up on refrigerators just like any cat of any breed. They do not have an 8 foot straight up, vertical jump ability. They would need a booster on their hind end to accomplish that feat. Savannah cats are tall and long with lean swimmer type muscles. They do not grow to be 35 or 40 pounds unless they have a serious weight problem. In fact, most Savannahs are in the 18 to 20 pound range with some less and a few a bit more. Many people misjudge the weight of many items, cats included. Savannahs will readily learn to wear a walking jacket, which is the only safe way to harness a cat. Once they become accustomed to the walking jacket, they will readily walk on a leash and go on walks with their owners. Savannah Cat with a Walking Jacket on. Water is a Savannah cat passion. They will play in tubs, sinks, splash water out of water bowls and even off to help their people drink their cold beverages; especially those with ice floating in them. Another favorite pastime with a Savannah cat is the game of fetch. Oh yes, these little wonders will play fetch for long periods of time just like a Labrador Retriever. Some will also invent games like tag where they want their owner to chase them and tag them and then reverse the process. Beware though, a Savannah Cat can catch a person lots quicker that a person can catch a Savannah. Also, some will play catch. The Cat will bring a toy and then go somewhere and wait for their person to throw it to them. They are amazingly agile and catch their item and bring it back to do it again and again. As far as food and litter box habits go, they are clean, fastidious and use the litter box as any domestic cat would. Many breeders use pine pellets as litter and feed a high-quality grain-free kibble and wet cat food or even a raw diet. Savannah Cats make a great pet for families with children* and other pets. Get one or two for your family’s entertainment today! It is the Savannah Cat Association’s position that families with young children or babies should not invite an F1 or F2 into their homes until the children are about 4-5 due to danger from scratches or toppling when learning to walk.